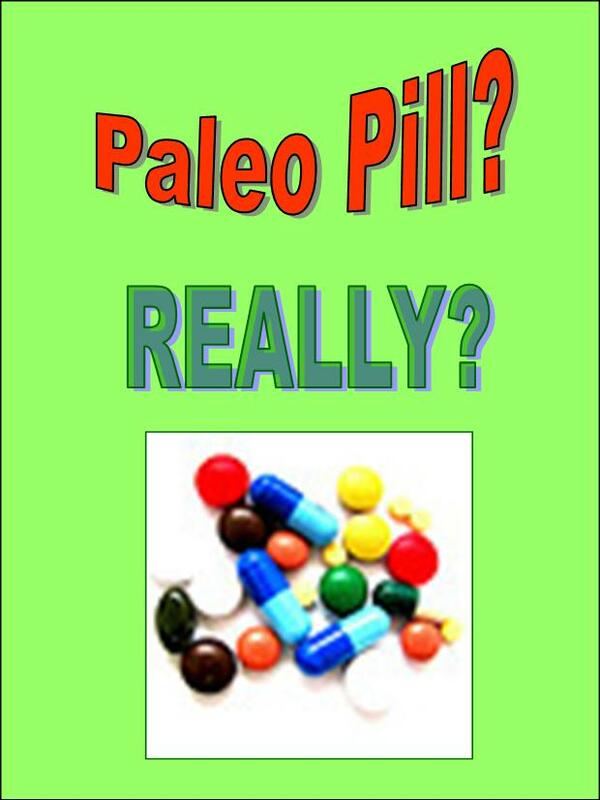 Paleo Diet Pill – REALLY? Almost Paleo - A Lifestyle Not A Diet > Uncategorized > Paleo Diet Pill – REALLY? Let me pose a question to you all. Anybody heard about a Paleo Pill yet? I hope my treasured readers are going to be as baffled as I was, when I read this promotion email about a new breakthrough Paleo Diet Pill. When I read that article I was shocked. The writer is supposedly a doctor living a paleo lifestyle, but instead of promoting this healthy lifestyle, he packaged it in a bottle. Now you can eat all your favorite foods like pizza, bread and pasta, take a pill beforehand and you will lose weight and get healthy. 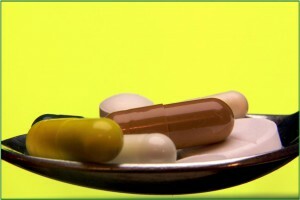 WE are on too many pills as it is, and I know many people are desperate to lose weight. They think, taking a pill will solve their problem. Yes, many years ago I was taking diet pills too, hoping to lose the weight. And I did, no doubt. But as soon as I stopped, the weight came back – and more of it. Until I changed to my almost paleo lifestyle I was on this yoyo dieting. I felt great when I lost the weight, and felt miserable when I started to gain it back. It is not that you can stay on any pill forever and keep your perfect weight. Eventually the effects of the pills wear off and they stop working. Then you are searching for another one and hope it works as good as the first one did at the beginning. It is a terrible cycle. And no doctor said anything about changing my lifestyle, they all were very quick with prescribing a pill. For whatever ails you, just take a pill. It will make you feel better. That is the motto of the medical society. Well, lets get back to this breakthrough Paleo Pill. I know one thing, there is no way you can bottle a lifestyle. And calling it a Paleo Pill, for me this is so wrong. Paleo is eating the foods as close to possible that our ancestors ate. To keep on eating food that are high in sugar, have flour, artificial color and preservatives in it and then taking this pill, is not going to help you achieve a healthy lifestyle. Maybe you will lose some weight at the beginning. But trust me, as soon as you stop, that weight is going to come back with a vengeance. If people would not long for an instant solution for their problems without any work from them, these diet pills would not be popular. 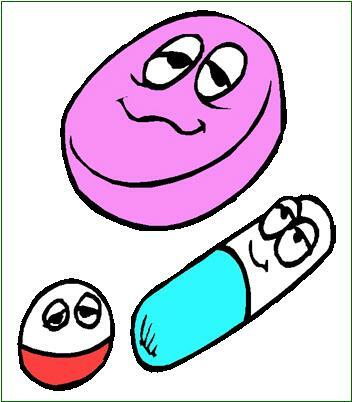 But all those pills promise you the world – no exercise, you can eat all your favorite foods…………. All you have to do is take this pill before you eat. It is so easy to eat healthy and it does not take a genius to cook delicious meals. Eat fresh organic vegetables, fruits and meat and you will see your health improving without a diet pill. I will be posting more delicious healthy dishes for you to cook, so just stay tuned. P.S. I am not going to post the link to that Paleo Pill website. If anybody really needs to know, please send me an email Karin@almostpaleo.org and I will sent you the link. You are absolutely right, most of us are taking too many pills. To me Paelo is about life style, not something a pill could fix. The idea of “keeping eating whatever you want and no need to exercise” sounds like another yoyo diet and so unhealthy! Thank you for sharing valuable information about Paleo Diet. I am looking into this diet and I am planning on talking to my doctor about it. Welcome to my journey. As I mentioned in my About Me page and also on my first blog, I am following a Paleo and Gluten Free, Grain Free lifestyle. Many doctors don’t believe in such a lifestyle. They tell you that this is unhealthy and you are not getting what your body needs. I totally disagree with those statements. I eat more vegetables and fruits than ever before, I just cut out all the junk I used to eat. So I know I am eating healthier than ever and I have much more energy. This lifestyle makes me feel great and that is most important. Taking pills is never a solution. Nowadays I take an aspirin only if I have a splitting headache and it does not go away, no matter what I do. But that is the extent of anything I am taking. I know people that have a “pill solution” for everything. Their medicine cabinets look like pharmacies. That cannot be healthy! So if I can achieve a lifestyle without pills, I know other people can too. [..YouTube..] Corn, that looks so good. I like new flavors, like yeuosrlf. Not sure if you like cilantro; but here’s my twist on soft taco. Try it and tell me what you think. Whole wheat soft taco shells. Chicken breast cut into strips or ground. Marinate your diced jalapeno(deseeded), bell peppers, red onions, tomatos and cilantro in lime juice. Saute chicken strips or brown ground chicken, add desired taco seasoning, then add your corn and black beans. Assemble my fiesta taco and enjoy! Hope you like it! Thanks for the recipe, but I do not eat corn. It is considered a grain as well as GMO, which I stay away from. I also would not use whole wheat, so that would be a different taco I would have to make myself. But I might try a variation of this recipe. You are so right. Since I changed my lifestyle to Paleo and Gluten Free I feel so much better. I used to be very tired all the time. But now I have lots of energy and I love to exercise – which I used to hate because it was so exhausting. I am looking forward to seeing you back and if you are interested in a special dish, let me know 🙂 I know, I miss some dishes and I am always trying to recreate them in healthier ways. And most the time it works great. Dr.Shanahan,I have two questions, I am radeing Deep Nutrition slowly as i have four children and not a lot of free time. I am confused about carbs. Do sprouted flour items count as carbs, does oatmeal count as carbs. Also, caffeine. I know you stated that you drink coffee, is caffeine detrimental to health at all? Thanks. Thank you very much for the kind words. I am glad you like the blog.